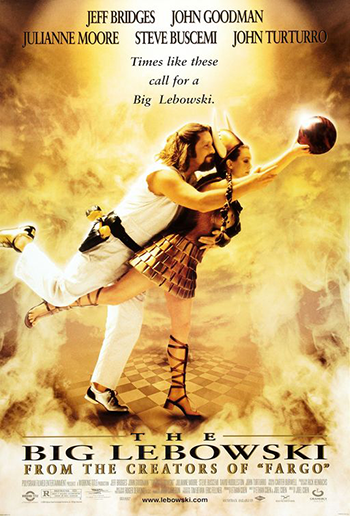 The Big Lebowski - 20th Anniversary! This film is a part of a Double Feature with Fargo. When two movies that are screening in the same theatre are grouped under the same thematic heading, one ticket is good for both features when viewed back-to-back on the same day (except as noted). Come in your bathrobe for a chance to win a gift certificate to Dart Bowl. Plus, the White Russians will be flowing at the bar! Jeff Bridges, John Goodman, Julianne Moore, Steve Buscemi, and Philip Seymour Hoffman.